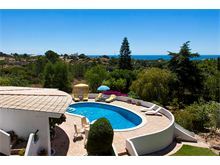 Situated about 15 minutes walk from one of the Algarve’s most beautiful and photographed coves at Praia da Marinha beach, Velha Videira occupies a most privileged and private position on a picturesque part of the coastline. The spacious property is set in substantial grounds, with both countryside and sea views, benefits from a couple of good restaurants within walking distance. 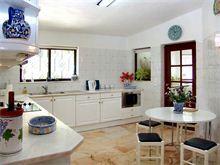 The owners have carefully furnished their property as a second home and as they spend considerable time at the villa, they have ensured that the kitchen is particularly well equipped. The tastefully decorated interior, coupled with the luscious and well-maintained grounds, make for a truly idyllic villa holiday setting. 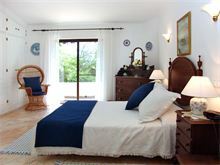 Approximately 1.3kms from the beach, 200m from the nearest restaurant and 6kms from Carvoeiro town centre. Gated driveway. 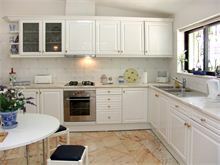 Entrance hall, off which is the fully equipped kitchen with dishwasher, microwave, breakfast area and separate laundry room. 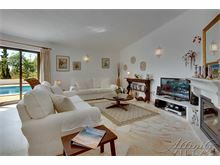 Open plan sitting room with dining area, TV, DVD, CD, open fire and doors to the covered pool terrace. 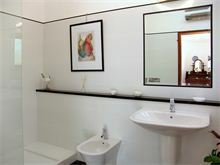 Corridor leads to bedrooms, 1 double bedroom with en suite shower room and doors to terrace. 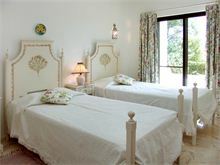 1 twin bedroom with hand painted Alentejo furniture and doors to private balcony. 1 twin bedroom. 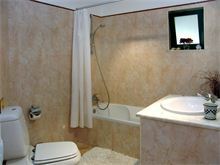 The twin bedrooms share 1 shower room. Maid service 4 times per week. Pool heating, air conditioning (bedrooms only) and Wi-Fi are available at extra cost, if required. 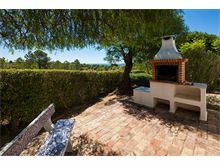 Lovely villa, nice quiet location, outside space and BBQ was brilliant. The pool and grounds were kept clean and immaculate. We all had a lovely time and beach is beautiful. The villa is spacious and comfortable. 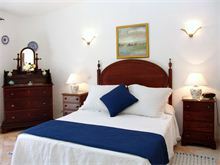 Located in a quiet area ideal for those wishing to escape for some rest and relaxation. Only a short drive from beautiful beaches and caves. Nearby areas have plenty of bars, restaurants, and nightlife. Lots of waterparks, zoos, and other attractions all within 30min drive! Car recommended. What a lovely villa, lovely location, plus friendly and very helpful maid. Excellent holiday. Villa was superb. Location idyllic as we wanted. We would definitely recommend this villa to anyone. Lovely villa. Spacious, great, quiet location. Perfect for the family. Best villa we've stayed in yet! 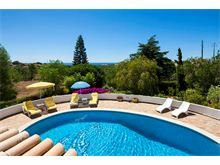 A fabulous cosy villa with lovely swimming pool surrounded by countryside, sea in the distance, very private but not remote. Good sized bedrooms and spacious kitchen and utility area. Every household amenity. 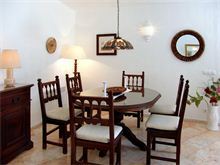 Location is good with a 20 min walk to two different beaches, Benagil and Maharina. 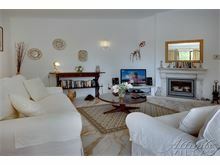 Close to the town, 5 minute drive and about 10 minutes to fantastic supermarket in Lagoa. Definitely would advise a car to explore and shop. We highly recommend the villa. We loved it. 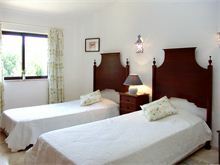 The villa has a lovely large garden all fenced and gated so if you have young children there is no fear of losing them.